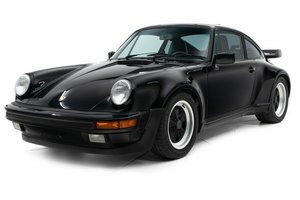 Why buy from Friends Green Porsche? 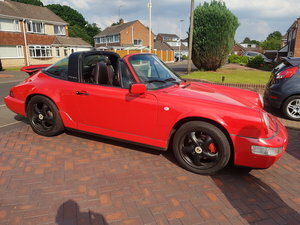 f - Specialists in Porsche and general prestige motorcars - Finance agreements available - Part exchange offers on your old vehicle - 3 month warranty with every car - Flexible viewing times with weekends and evening availability at our Hertfordshire based premises Porsche 911 996 Carrera 4 manual, registered on 31/12/1999, 113k miles, MOT 27/09/2019, full service history, 5+ owners, HPI clear. Price - £15,996 - OR - £17,246 with installation of our IMS bearing and RMS kit (See our website for details). Short video of the car: https://www.youtube.com/watch?v=zroH7cv3PN0&feature=youtu.be Exterior This Porsche is a stunning example, with it's uncommon Zenith Blue (paint colour code L3AX) bodywork and factory fitted GT aero kit, it is a true head-turner and stands out amongst the 996 crowd. This particular car is also a non-sun roof model, which presents a car with a lovely clean and sleek looking roof line. The condition of the bodywork is absolutely beautiful; every body panel is pin straight and there are no scrapes or scratches present. The Zenith paint is full of vibrance and shines beautifully, benefitting from a full body soft-mop machine polish and wax while in with us. Being highly critical, there are a few minor stone chips to the nose of the car and inside the wheel arches, but this does not take away from the overall brilliant physical appearance of the Porsche. The 911 rests on it's original and genuine Porsche BBS GT3 two piece split alloy wheels, which have benefitted from a recent refurb and new Pirelli P Zero tyres within the last 4,000 miles. Interior The Metropol Blue coloured interior is the perfect compliment to the Zenith Blue exterior. Everything inside is in exceptional condition, from the sports hard back seats, which at worst, only have very minor wear to the drivers side bolstering, to the suede alcantara headlining, which is as new. The door-cards, dash and carpets are also all in very nice order and everything inside works just as Porsche intended for it to. This is a fairly modestly specced example, which is considered by us to be a nice feature as it makes the car more analogue and simple. The specification that has been selected at the factory makes for a sought after combination, with the GT3 aero kit, non-sun roof selection, onboard trip computer with mpg calculation etc, alcantara headlining and three prong steering wheel. There are two key fobs present and the optional extra codes are as follows: C16, 424, 436, 490, 695. Mechanics This example has clearly been meticulously cared for, having been covered and looked after under a "gold" warranty with renown Porsche specialist "Hartech" since 2010. As stated in the advert title, the entire suspension set up was refreshed less than 18 months ago at the cost of over £3,250 with a new, genuine Porsche sports suspension, which is called the "M030" sports suspension option. The details of the parts renewed are listed in the "service history" section below. As a result of this suspension work, the Porsche feels as tight and as responsive as it would have done when it left the factory in 1999. The 3.4 litre flat six also operates perfectly, starting as it should, idling smoothly and revving cleanly all the way through the rev range. There are no leaks underneath, with the rear main oil seal being renewed 12,000 miles ago. There is no smoke from the rear and no noises produced other than the lovely sound emitted by the Dansk stainless steel sports exhausts that are fitted. The six speed manual gearbox has a smooth and precise gear change and the clutch is light having been renewed 12,000 miles ago. The brakes are in good condition in all four corners, with the front discs and pads renewed a mere 7,000 miles ago. Service history There is an outstanding service record with this Porsche, including an organised folder filled to the brim with works invoices, MOTs, sales invoices, HPI reports etc. There is also of course the original Porsche leather wallet with all of the original Porsche booklets, including the maintenance book, which has 17 service intervals stamped, all from Porsche main dealer or Porsche independent specialists. As previously noted, the 911 was covered under a Hartech Gold warranty since 2010, where all of the maintenance work has been carried out during this time. The service intervals are as follows: 08/05/2000 - 12,440 miles, 13/12/2000 - 23,998 miles, 10/12/2001 - 32,484 miles, 06/03/2003 - 44,127 miles, 13/11/2003 - 53,825 miles, 16/04/2004 - 57,878 miles, 22/04/2005 - 68,865 miles, 21/11/2005 - 71,468 miles, 17/01/2007 - 80,193 miles, 15/07/2009 - 84,254 miles, 16/09/2010 - 86,725 miles, 10/11/2011 - 94,738 miles, 23/11/2012 - 99,325 miles, 03/10/2014 - 106,495 miles, 02/10/2015 - 108,420 miles, 17/11/2016 - 110,252 miles, 11/02/2019 - 113,002 miles. As above, we have carried out a minor service while the car has been with us, so this will not need doing again for another 12,000 miles. Some noteworthy work completed in the last few years includes: renewal of entire suspension set up for Porsche M030 (4x shock absorber, 4x coil spring, 2x anti roll bar, 2x control arm, 2x fork arm, 2x top mount, 2x top pivot bearing, 4 wheel alignment), battery, 4x Pirelli tyre, brake pipes, front brake discs and pads, brake fluid, clutch kit, rear main oil seal. For any further details please contact on 07583601919. And... Please visit our Facebook page: @friendsgreenporsche & our website: friendsgreenporsche.com Standard terms and information - 3 month warranty comes as standard and all cars are prepared prior to sale. Please visit our website for full details. - Any questions are invited and encouraged, however, we try to be as comprehensive as possible in our adverts, so if significant things such as an IMS bearing upgrade is not noted, then there will be no paperwork evidencing such an upgrade. - Viewings are by appointment only and we are flexible as to times, so weekends and evenings can be arranged. We are located in Weston, Hertfordshire, approximately 4 miles from junction 8 (Hitchin, Stevenage North) & 9 (Letchworth) of the A1M.